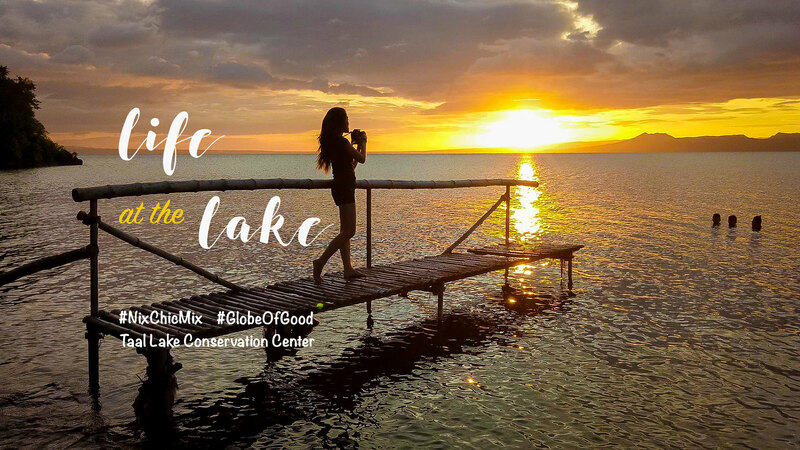 PUSOD Taal Lake Conservation Center (TLCC) is a conservation center focused on trying to rehabilitate the Taal lake and helping out the people of Batangas to try and live an eco-friendly lifestyle. 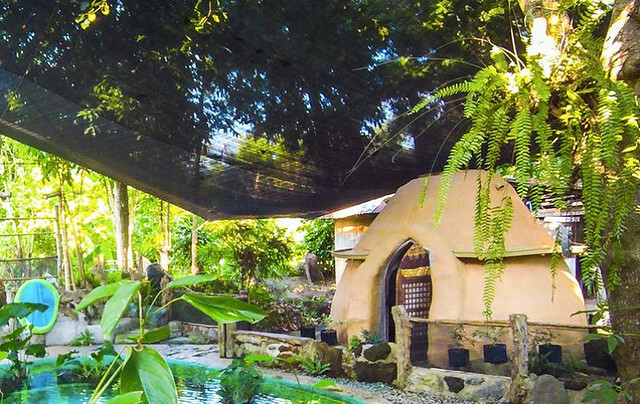 It is neighbors with Kapusod, which is the place to go if you want to rest and relax. Or get a chance to camp under the stars. 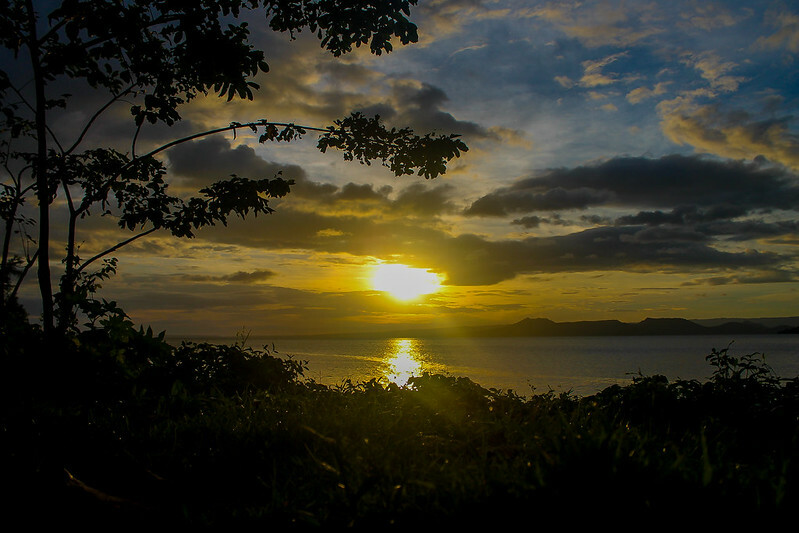 In Kapusod, you can experience something more than the usual hotels nearby the Taal Volcano wiew. You can absorb the true Lake Life. 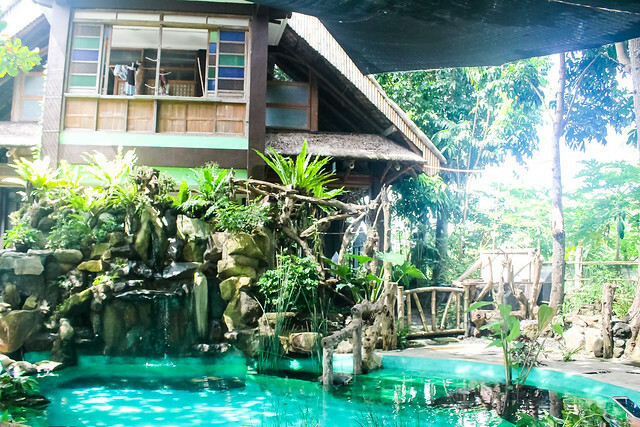 While we went there for Globe's campaign with the conservation center, Kapusod in Mataas na Kahoy, Lipa, is better suited for relaxing and meditation with the family. 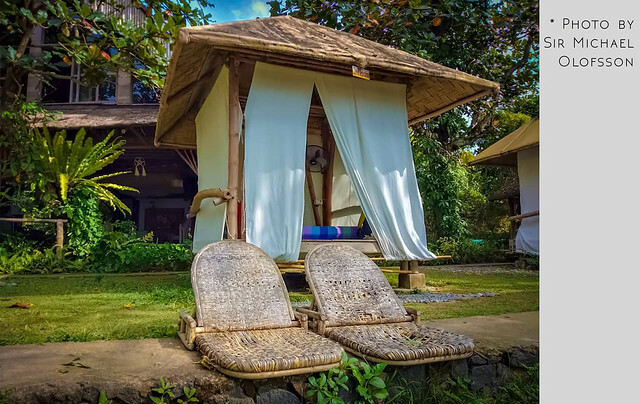 KaPusod has a variety of accommodations for you to try and absorb life at the province. 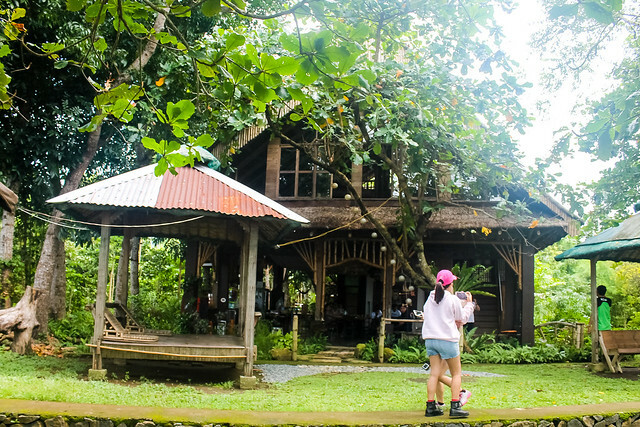 Backhouse accommodation is good for up to 5 persons and can accommodate up to 12-15 persons, perfect for a mini company getaway or mini family reunion. In excess, you have to pay additional Php. 300/head for overnight accommodations. 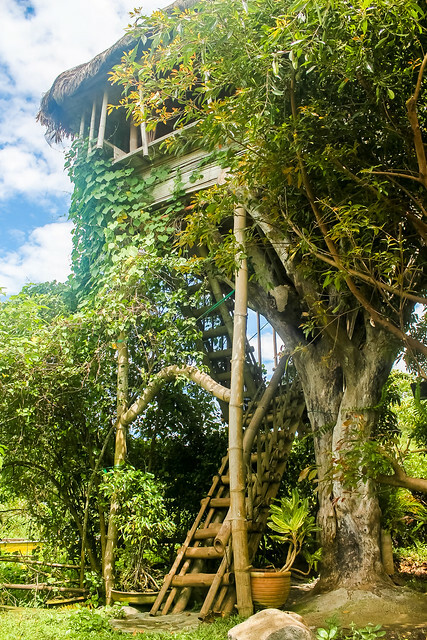 Their tree house is the best one for me, if ever I will get a chance to spend the night here with my kiddos. It is overlooking the lake. 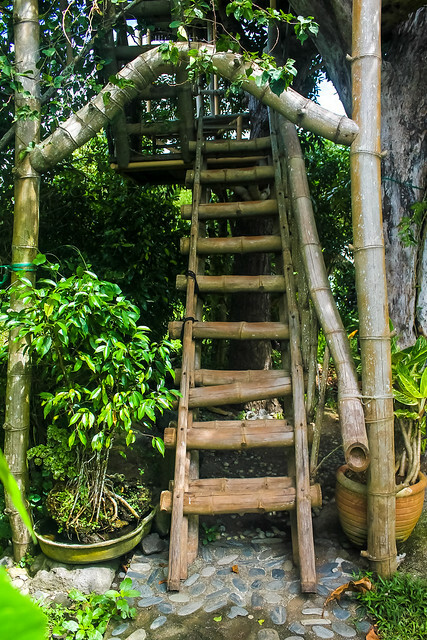 Also, this tree house is made atop two I haven't come back here at the moment as my kids are still young and the stairway to the treehouse is a bit too high for a little 7 year old and a 5 year old. available for overnight accomodations as well. It has a fan and plugs for your charging needs, and a comfy mattress. You can use the common CR for this. 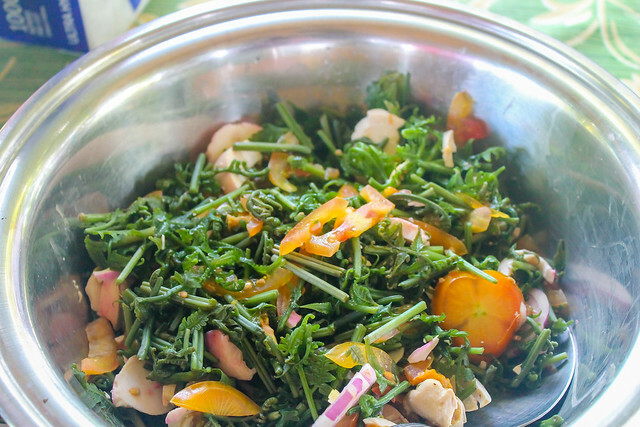 You can also have your food served by the locals, or you can go out and get lomi for around 65 pesos. 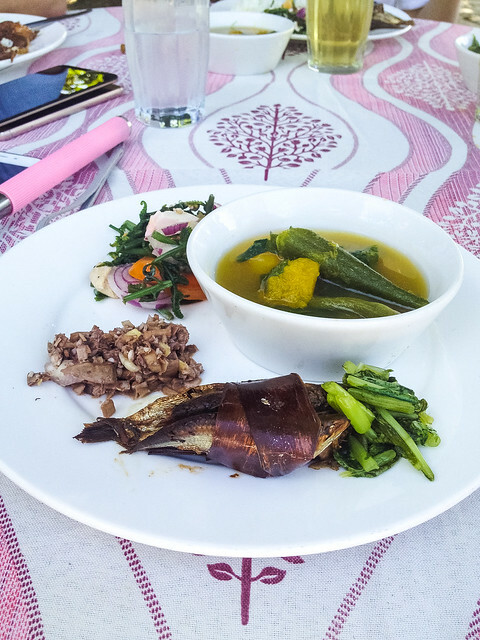 If you choose to have them cooked by the locals, you're getting lots of awesome Batangas food like Bulanlang (a vegetable stew with squash and saluyot), Adobong Chicken and Pork, Sinaing na Tawilis with Mustasa, ginisang puso ng saging and Pako salad. Which is VERY RARE nowadays in manila, and is a better alternative to the usual lettuce in my opinion because it is so light and refreshing. :D Of course, fresh fruits that are in season as well are up for grabs to end the meal. Pusod Taal Lake Conservation Center on the other hand has a large open space for community assemblies, group activities, family events in their pavillion. What to do in Kapusod and Pusod TLCC? Since the two are neighbors, they offer different activities. I enlisted both so you can ask the right people for what activities you might like to do. 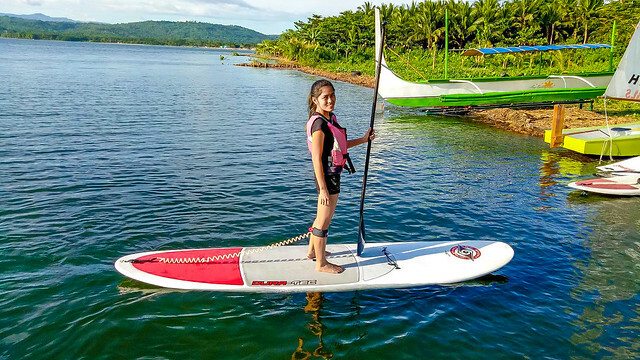 I tried out the Stand Up Paddle for myself, and I never thought that I would do something like this ever. One check for my bucketlist! It was a bit hard at first, but I got the hang of it eventually. It was such an awesome core workout and I had lots of fun! Special thanks to my pro instructor, Tono Legarda. Also, Mr. Michael Storer handles the Sailboat classes and he's been doing it for decades! You can rent them for around 5 hours, included are the paddles, kayak and vests. An unlimited no. of people can use this as long as they sign the proper waiver. You can experience boat riding and trekking. 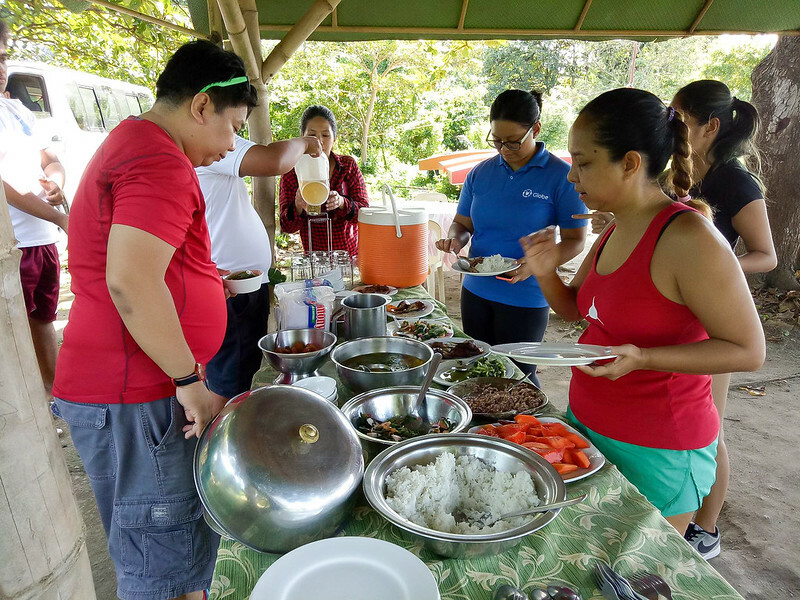 Included here is lunch, a guide, your boat man and of course insurance for the trek. You have to make an advanced reservation for this though and you can't do this if you are a walk in customer. Take a jeep to Mataas na kahoy (around P20) and get off at 7-11, then from there, take a tricycle to Pusod TLCC (P80 for the trip). Starting from Magallnes/ SLEX, drive all the way to Star Tollway and take the exit to Malvar. Once you paid your toll, go to the right side of the road. This is Bulihan Exit, and all you have to do is drive straight across Brgy. San Isisdro's main road.Once you reach Balete national high school, take a left. Drive on until you see Kapusod's Sign or Pusod TLCC on your right. If you see Shercon Resort, you have to go back as you have gone too far. 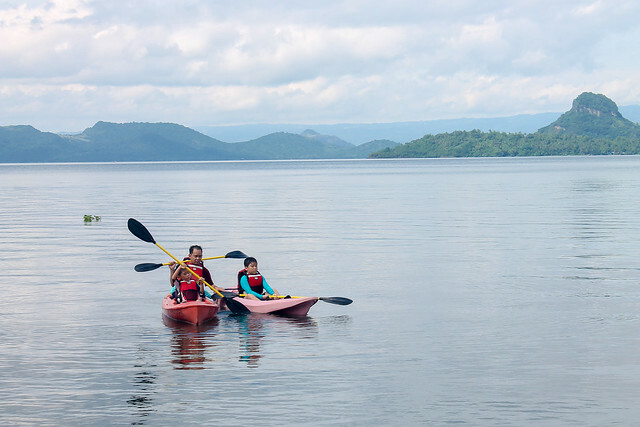 PUSOD TLCC advocates for the rehabilitation of Taal Lake and it's ecosystem, as well as helping the community by giving opportunities and teaching them on how to diversify their means of living. 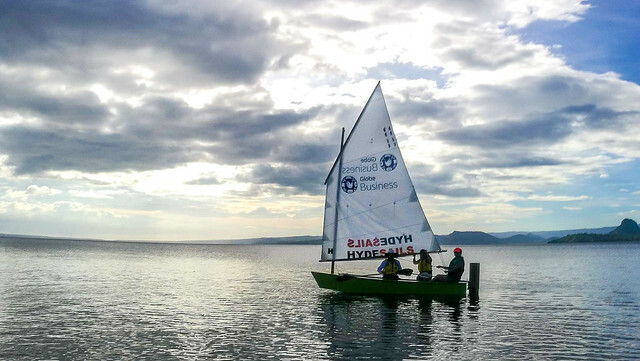 And they have achieved so much, with the help of Globe Telecom and their corporate social responsibility (CSR) activities aimed to help protecting and enhancing the ecosystems in the PH. This advocacy is aptly called "Globe of Good". 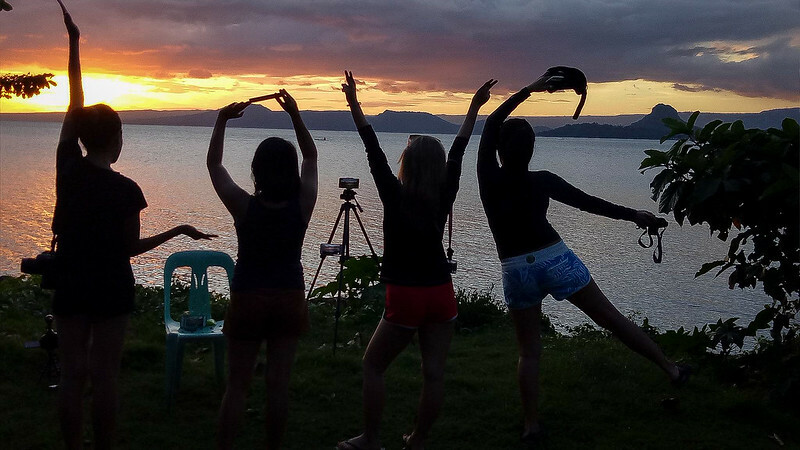 Spread the love of nature and get to help out the neighboring communites of Taal Lake and Taal volcano when you stay here at PUSOD TLCC. 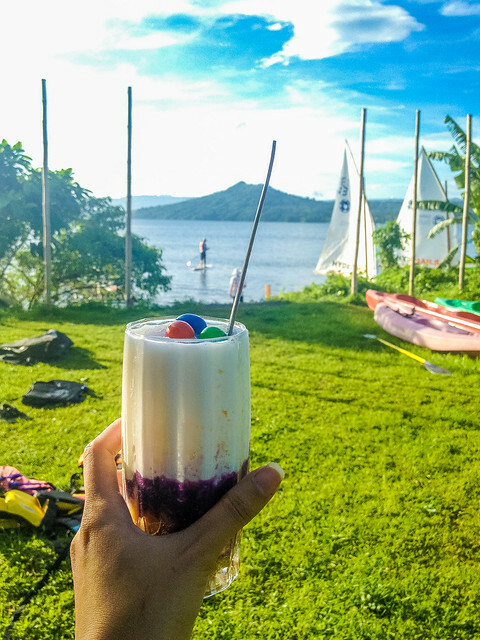 They offer not just what I stated above but also tours to Taal Lake and trekking to Taal volcano itself for a minimal fee, part of which is donated to the betterment of the community and the clean up of the lake. Hi Nicole! I really like your blog's photos. 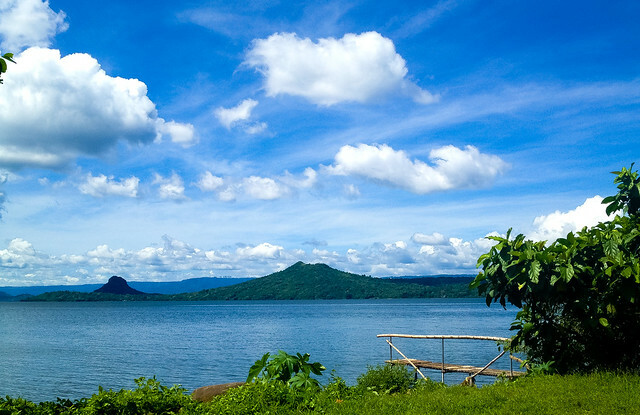 Taal Lake is really one of the nearest destinations in Manila that you can go to. It's a quick nature trip, and the sunset is just as nice. I hope to visit Taal Town soon too! Looks like a great place to holiday. The activities look fun and adventurous. The food spread is mouth watering too. Wow! I wanna try that stand-up paddle thing too. Kung magawi ako ulit ng Taal, I'll make sure to visit this place at maitry ang activities na offer ng Pusod Taal Lake Conservation Center. The food looks really yum too! 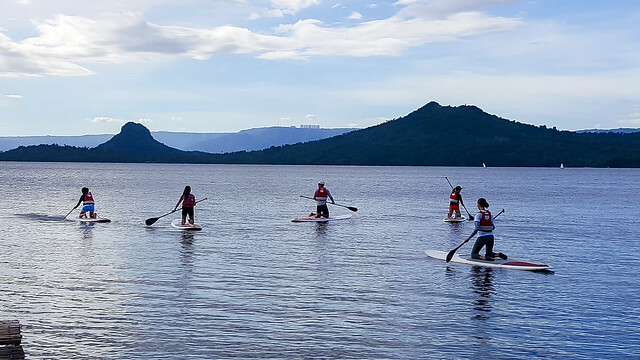 Looks like a great place to spend some vacation and I definitely want to try stand-up paddle! It's so famous, and it has to be really good when it comes to have fun and working out! Loving the photos! I hope I get the opportunity to go there again. It has been at least more than two decades since I went there and I don't remember much of anything, except that I had been there once. I like how the local government and agencies are working to increase the awareness and thereby gaining more tourists, which would help the local community. Great job. As for you, my friend... LOOKING GOOD!